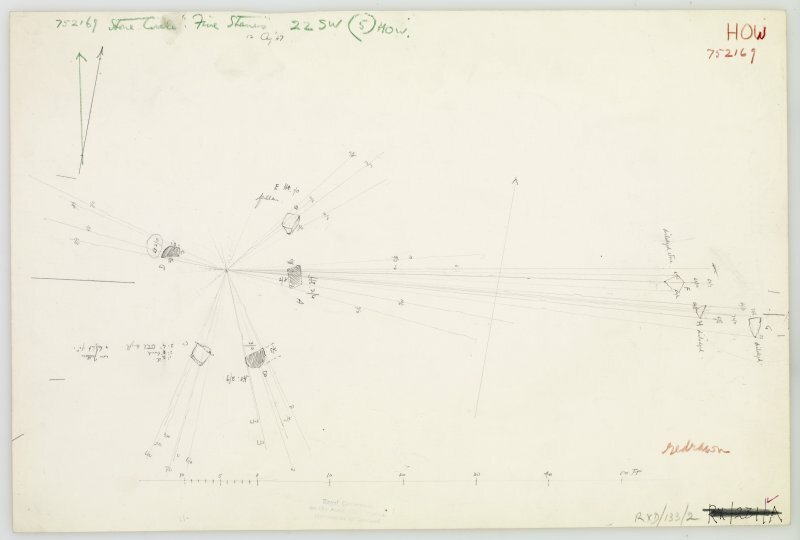 Publication drawing; plan of Five Stanes stone circle. Plane-table survey; Five Stanes stone circle. OS 6" map, Roxburghshire, (1923). Stone Circle, Five Stanes: This circle, which is some 20' in diameter, stands in rough pasture on the S side of a slight rise. 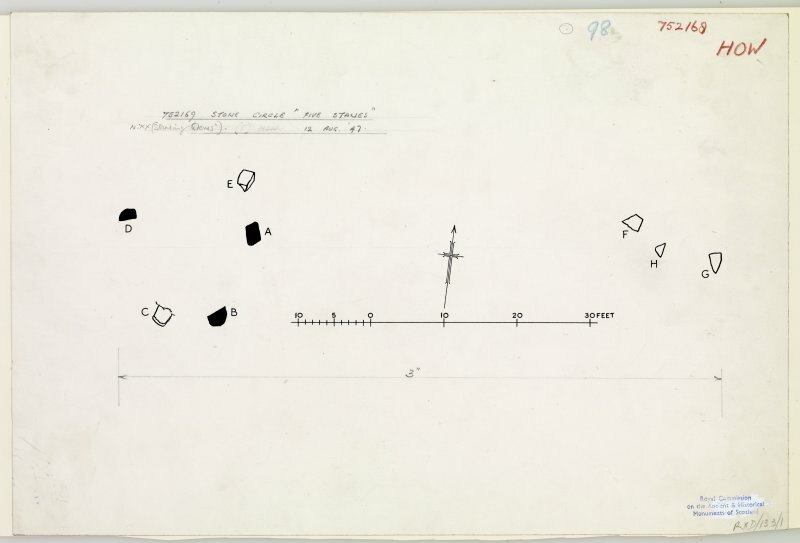 It comprises five stones, three standing and two prone, one of the latter (E on RCAHMS 1956, plan, fig.219) having also been displaced from its original position in the circle. The heights of the upright stones (A, B, and D) above the present surface are 2'4", 2'9" and 2'10" respectively, while, including their sunken bases, C and E originally measured 2'4" and 3' in height. Three more stones (F, G, and H), lying 50' E of this group, have probably been removed from the circle; of these, F is 11" high, G is 1'6" high, and H is at turf level. Visited by OS (IA) 18 July 1973. Visited by OS (JB) 5 November 1979.